It was the early 1930s when the Dust Bowl devastated Oklahoma and caused once hopeful farmers to seek new opportunities for their families. Mary Ellen McAfee was just 5 years old when her parents moved to Cullman County with her three older brothers. Now she is Mrs. Mary Ellen Jones and a resident at Westminster Assisted Living in Cullman. The Tribune visited Mary Ellen and went with her on an impromptu stroll down memory lane. With her family unable to farm, they moved to Cullman County where her father was from originally. After graduating from Cullman, Mary Ellen enrolled at the University of Alabama to become a teacher. There was only one small problem. She had no car and no way to get there. Finally, she learned that her principal from Logan was attending Alabama to earn his master’s degree. He offered her a ride and she settled into a small dorm. 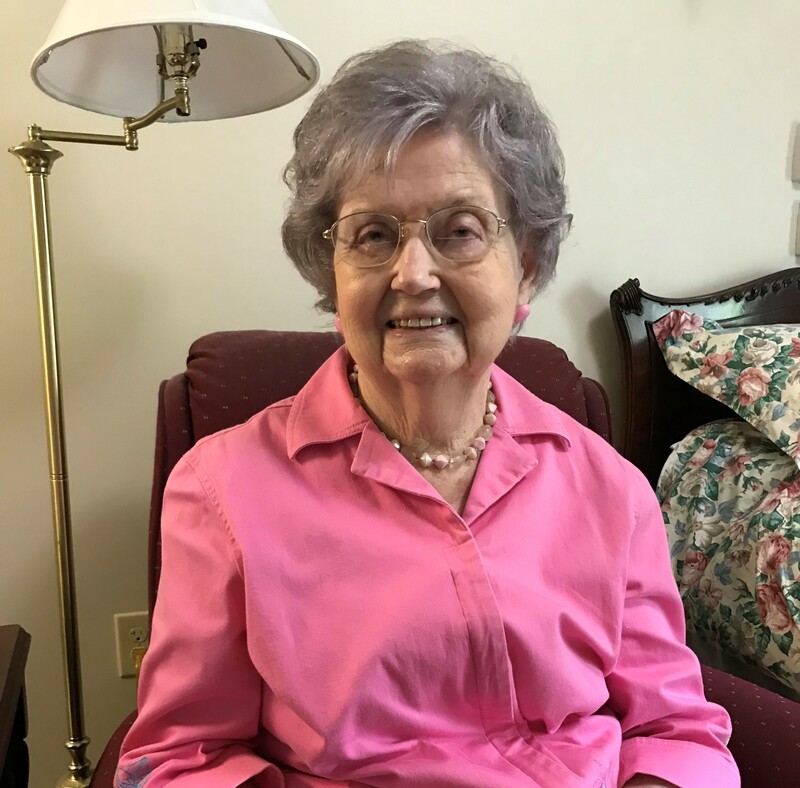 In 1949, Mary Ellen began teaching fourth grade at Trimble School where she taught five years. When asked about transportation she laughed, “Oh! I left something out. When at Dowling, I met this guy. He became my first husband and he had a car.” Millard Freeman and Mary Ellen married in 1950. The couple welcomed a baby girl named Betty. Mary Ellen stayed home with the baby for three years before returning to teaching. When she returned, it was to Logan Junior High where she taught English for 24 years. During this time, she took another three-year break from teaching in 1960 after the birth of her son, Delbert. Millard Freeman made a living as a timber hauler and sold timber to Buettner Brothers Lumber in Cullman. In 1981, he passed away from congestive heart failure. Mary Ellen lived alone for six years but continued to teach English at Logan. She retired in 1985 after 24 years at Logan and 30 years of teaching. In 1988, she remarried. She married John Paul Jones, a principal at Logan. John Jones passed away in 2010. Both of Mary Ellen Freeman Jones’ children live in Cullman. Betty Freeman Kinney is retired from the post office and Delbert Freeman is the chaplain at Cullman Regional. Mary Ellen laughed, “I have five grandchildren. I have 10-12 great grandchildren. I’d have to count.” It was time for lunch, so the counting would have to wait for another time. Mary Ellen is now legally blind due to glaucoma that runs in her family. “I am still able to get around fine, but I can’t see well. I make it a point to walk 2 miles every day to keep in shape,” she smiled, pointing to her step counter on her ankle.